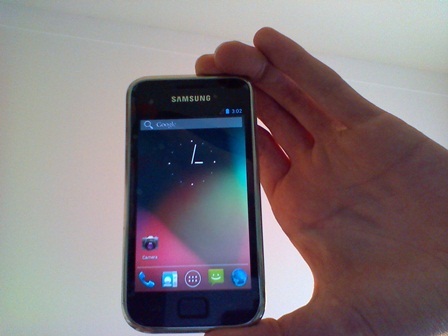 [Guide] Android 4.1 Jelly Bean Working on Samsung Galaxy S i9000. Not a Daily Driver Though, Yet! Eclair, Froyo, Gingerbread, Ice Cream Sandwich, and now Jelly Bean! That’s 5 versions of Android that the Galaxy S has been able to run, thanks to the great developers of the Android world, even though Samsung stopped supporting the device past Gingerbread. XDA Senior Member mkalter has managed to get Android 4.1 Jelly Bean running on the Galaxy S and has released the ROM for everyone, which runs smooth as butter even at an early stage. Anything not mentioned above will not currently work on the ROM. The sources for Jelly Bean haven’t been released by Google yet, but once they are, the ROM’s development will go at a faster pace and Jelly Bean should be running pretty nicely on the Galaxy S. But until then, consider this a purely experimental ROM. Read on to find out how you can flash Android 4.1 Jelly Bean on your Galaxy S.
This ROM and the guide below are compatible only and only with the Samsung Galaxy S, model number i9000. It’s not compatible the GT-i9003 or with any other device and may render an incompatible device unusable. Check your device model in Settings » About phone. The methods and procedures discussed here are considered risky and you should not attempt anything if you don’t know exactly what you are doing. If any damage occurs to your device, we won’t be held liable. NOTE: If you are already running an Android 4.0 Ice Cream Sandwich ROM on your phone, you DO NOT need to perform steps 3 and 4 below and can skip to step 5 after step 2. This procedure will wipe all your apps, data and settings (but it will NOT touch your SD cards, so don’t worry about those). Backup your Apps and important data — bookmarks, contacts, SMS, APNs (internet settings), etc. This Android backup guide would help you. Important! Don’t forget to at least make a backup of your APN settings, which you can restore later if your data connection does not work after installing the ROM. Use the backup guide to find out how. Remove sim card lock, if you have set it earlier. Go here: Settings » Location and Security » Sim card lock » checkbox should be clear (not selected). Flash the stock XXJW4 firmware by using → this guide. Root XXJW4 to obtain Clockworkmod recovery (CWM) by using → this guide. Download the latest version of the ROM from the official development page. Turn off your Galaxy S and wait for complete shutdown (wait for vibration and check capacitive button lights). Then, boot into CWM recovery. To do so, press and hold the Volume Up + Home buttons while powering on the phone. When the screen turns on, let go of all three buttons. The phone will boot up into ClockworkMod recovery in a few seconds. In recovery, use Volume keys to scroll up and down and power key to select an option. Select wipe data/factory reset, then select Yes on next screen to confirm. Wait a while till the data wipe is complete. Now select install zip from sdcard, then select choose zip from sdcard. Scroll to the ROM file on the sdcard and select it. Confirm installation by selecting Yes – Install _____.zip on the next screen. The ROM will start installing. After the installation is complete, go back to the main recovery menu, then repeat step 8 to wipe data again. Then, select advanced, then select Fix permissions. Then, go back to the main recovery menu and select reboot system now to reboot the phone and boot up into Android 4.1 Jelly Bean. Android 4.1 Jelly Bean is now up and running on your Galaxy S. Try it out, then let us know how it works for you, in the comments below.